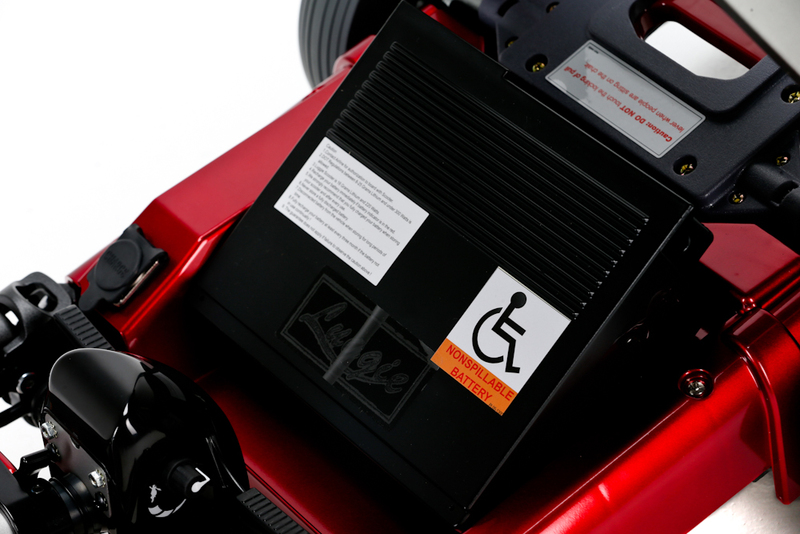 Our Luggie mobility scooters have been specially designed and created in order to help give you the best quality of life. They are there to help get you back out and about. And to experience life to the fullest again! So it's imperative that your mobility scooter battery lasts as long as you need it too. So we've decided to write a little guide on how to preserve the battery as best as possible for your class 2 mobility scooter. As soon as you get your brand new Luggie, you need to charge the battery for the first 24 hours. We understand that you will be very excited but that first charge makes sure that your battery works to its full capacity. Once you've charged it for 24 hours, you're then free to go where your heart desires. We suggest the first few times you're out on your lightweight mobility scooter to try and drain the battery as best you can then charge it again over night. This is all to help increase the long term usage of the battery. We're sure that you will be putting those miles onto your Luggie as soon as you can. So make sure that when you have drained the battery after those days out, you charge it over night. Or for at least 8 hours to keep it running to the best of its ability. Now that winter has officially set in, you need to be very careful with your battery. Make sure it isn't exposed to the elements and charge it in a warm and protective environment. Also try and keep your folding mobility scooter indoors as much as you can and protected from the elements! And finally, don't forget to enjoy your new lease of life thanks to your Luggie mobility scooter! They can be taken in cars, on trains, planes and even cruises. Which means you have nothing stopping you from going and doing what you want too!